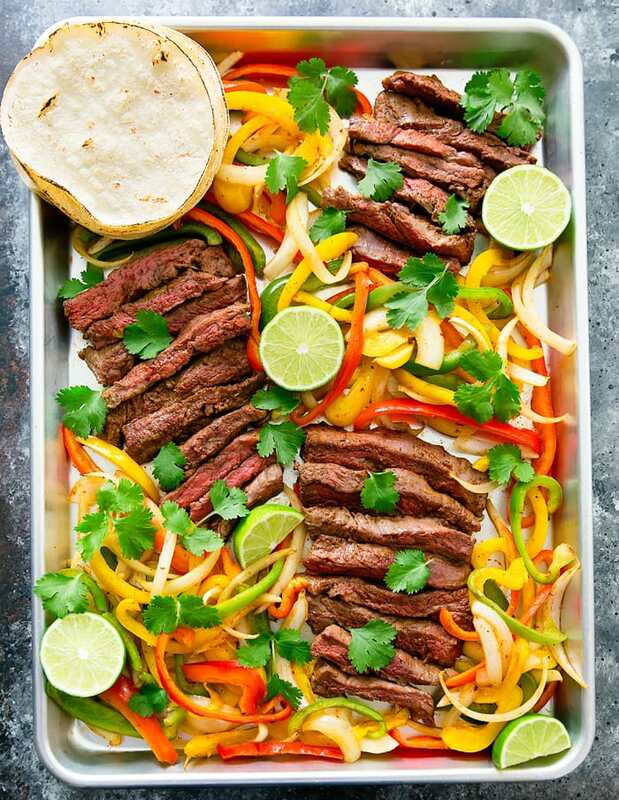 Sheet Pan Steak Fajitas is a fun and easy dinner ready in less than an hour. Everything is cooked in the oven on one sheet pan. You can also swap steak for chicken or shrimp. 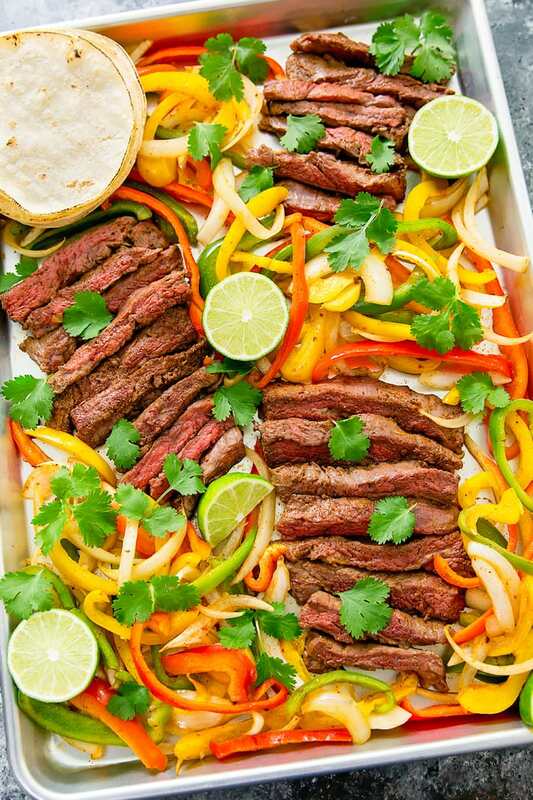 I love fajitas but I rarely ever make them at home. It always seems like a lot of work. But it’s really not. 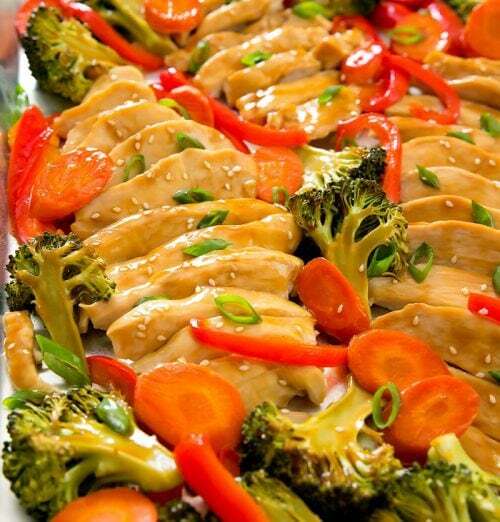 Especially if you cook this sheet pan version. If you want to get a little fancier, you can prepare the steak ahead of time and let it marinate in the spices. But if you’re in a hurry, you can skip the marination and just do a quick toss of the spices onto the meat and vegetables. It’s still flavorful, but the spices just won’t penetrate the meat as much. I love how colorful this came out. The steak is thinly sliced so that it cooks quickly along with the vegetables. We enjoy our steak medium to medium rare, but feel free to cook all the way through if you want. The tortillas are added the last few minutes of cooking, just to warm them up. I actually ended up toasting them slightly over an open flame on the stove to add some color. The ones in the oven will warm up just fine but they won’t have the toasted/charred look to them. This recipe is one I’ll definitely be making often. Next time, I might make it with chicken, steak and shrimp. Now updated with video! You can also subscribe to my YouTube channel for all the latest recipe videos. 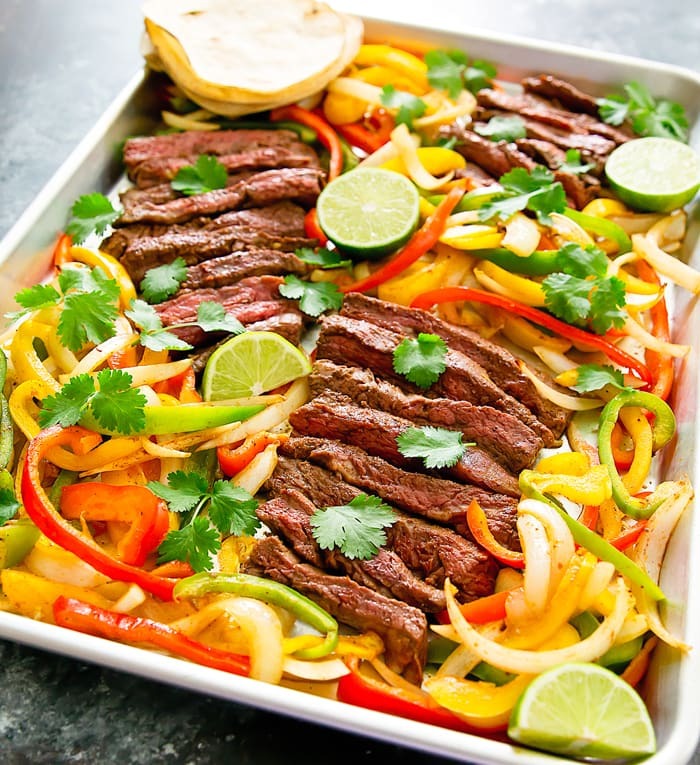 Sheet pan steak fajitas is a healthy and fun dinner for the family ready in under an hour. Everything is cooked on one sheet pan for minimal clean-up. 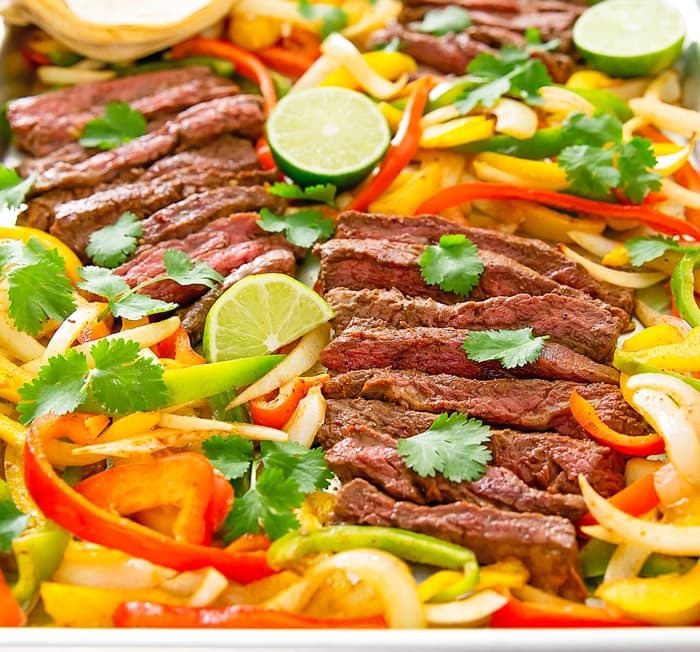 In a large bowl, add steak, onions and bell peppers. Drizzle with olive oil. Sprinkle with minced garlic. Mix everything until it is evenly coated in oil and garlic. Sprinkle seasoning mix over everything. Mix again until everything is evenly coated. 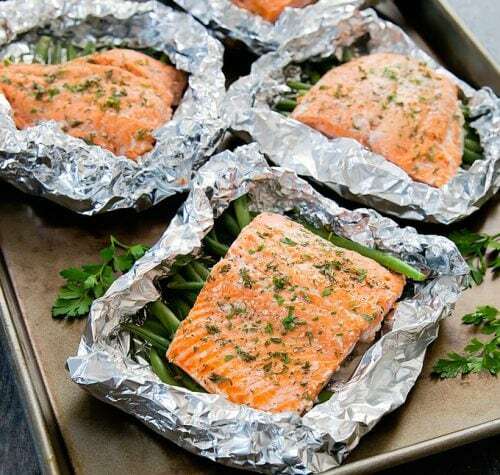 Line a 2/3 size sheet pan with foil. This is a size up from the common half sheet pan used for baking cookies. If you do not have a 2/3 size sheet pan, you can use two half sheet pans. 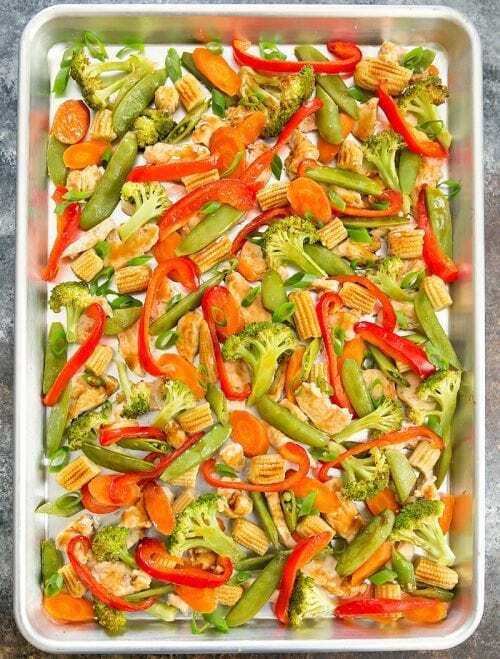 Lay all the vegetables and meat onto the lined sheet pan. Try your best to keep it to a single layer with no overlap. Nutrition estimate does not include the tortillas. i love sheet pan meals! 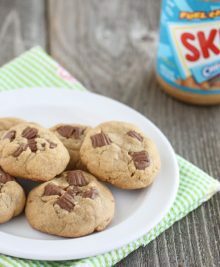 I made these a couple weeks ago and they were AMAZING!! We normally put sour cream, cheese, avocado, etc. on our fajitas, but not this time. We just put the meat and peppers in a corn tortilla and ate them like that. They don’t need a thing. 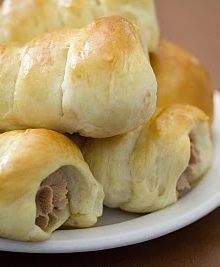 I have been thinking about them ever since, so we are having them again tonight! The only thing I did differently was that I mixed the spices together and rubbed the meat with them and put it in the fridge overnight. Then the next day, I took the meat out, threw the veggies in the bag, then sliced the meat and put it back in. Drizzled a little oil and mixed it all up. Then straight to the sheet pan. I love this. 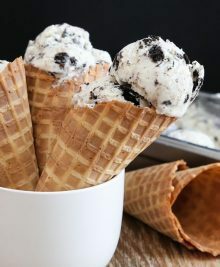 Its sooo easy and soooooooo good! Thanks for sharing! yay!! so glad you liked this. It’s one of my favorites too! I also like marinating the meat ahead of time but I know when people look at one pot/one sheet recipes, they are looking for something really quick and having to prepare/marinate early can be a turn-off so I wanted to make sure it could be done without that extra step, but if you have time, definitely marinating overnight is the best way to go! Kirbie, I made This last night for dinner, and it was so good! I had some again today, but fixed as a salad with half an avocado and cherry tomatoes. 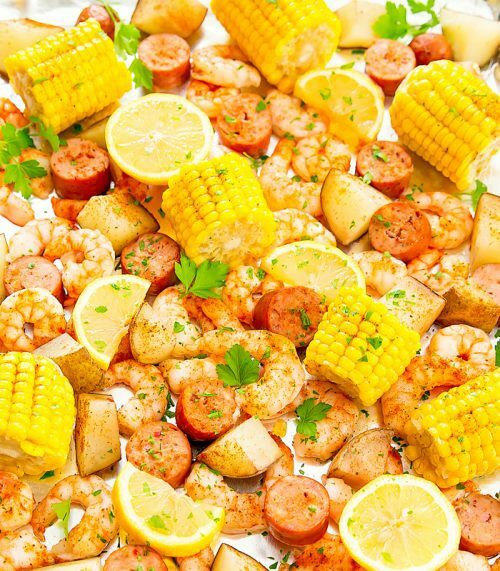 Using a sheet pan makes the cleanup a breeze! Will definitely make this a regular meal in my rotation. Thanks for posting this.! If I would have had the time, I would have marinated the steak like Kelly did. So glad you enjoyed it! I’ve made this several times since I posted this recipe and I haven’t gotten sick of it yet! Oh my God ! I can’t belive it ! It took me exactly 1h from starting to prepare the ingredients till putting the food on the table. It’s so delicios that we can’t stop eating. Even my son, who rarely appreciates a meal, said ‘yummy’ more than once to this. Thank you for sharring it ! I’m so glad your family enjoyed it! It’s one of my favorite meals to make! These are awesome! Great in a pinch or make ahead and cheap to make. Also great for large groups. Adding it to the meal rotation! Thank you! Been meaning to review this…this recipe is so easy and always gives us consistently good results. My husband requests this often and I am happy to oblige. I put the rub on the meat only and just drizzle veggies with olive oil and salt. 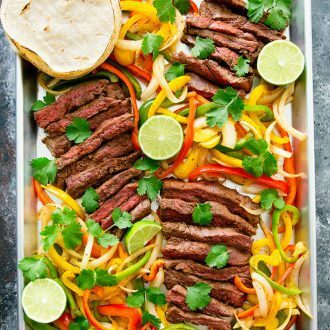 Top the fajitas with chopped cilantro, avocado and shredded cheese. Thanks for posting! Thanks for taking the time to leave a review! I’m so glad you and your husband enjoy this! We have 6 kids in our house and the night I made this, we had 8 kids. DInner was so easy and everyone loved it!! It is now in a regular rotation – we love it!! Tonight we are trying it with chicken!! So glad you love it! it’s on my regular rotation as well! I’ve made this dish several times. It’s quick/easy/delicious. If you haven’t made this yet, I highly recommend it.